Has Tesla (TSLA) become the next Apple (APPL) ? Ten years ago, the dominant phone makers were BlackBerry and Nokia. Then Apple came along with iPhone. If memory serves, few predicted that iPhone would dethrone BlackBerry. Yet 10 years later, iPhone dominates. Apple didn’t invent the smartphone. It just figured out how to make it better, and managed to create an ecosystem. That ecosystem includes iCloud and App Store, iMessages and Facetime. When someone buys an iPhone, they aren’t just purchasing a phone. They are buying an iPhone, and it comes with a certain brand appeal. Is Tesla doing the same thing? Potentially. Much larger players dominate the auto industry, but Tesla has been able to grow this year, while other automakers have struggled. Additionally, Tesla has established itself as a luxury brand that brings cutting edge technology to cars, including self-driving technology, over-the-air software updates and electric motors. Although the Model 3, which launched this summer, is nothing revolutionary, I believe it will contribute to Tesla becoming an ecosystem. In my opinion, this will be an ecosystem that includes autonomous driving with artificial intelligence learning that helps make driving safer. It is an ecosystem of cars communicating with one another, helping to improve GPS navigation and traffic updates with real- time features. Is buying Tesla then like the purchase of an iPhone? Will people say, I got a new car? Or will they say I got a new Tesla? That’s certainly something worth watching over the next few months as the Model 3 hits the street. Apple created more than a better phone. It created an ecosystem that helps to keep its users engaged and loyal. In my opinion, Tesla has the opportunity to do the same. 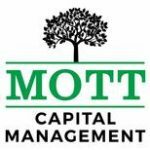 Disclaimer: The Mott Capital Thematic Growth portfolio on the Interactive Broker’s Asset Management platform own shares of Tesla. ← Higher returns and lower risk?